Ian goes over this modern rifle. There are two versions in the video. MG36E, which is export version that has slightly thicker barrel, and Bundeswehr version in clear plastic. Ian doesn't discuss the infamous heating problem in this video. Chris Bartocci goes over Glock 20 and history of 10mm and its adoption. It tries to replicate as much as possible, but has to make the barrel 0.5 inch longer to meet legal limit. It also has 1:12 twist which limits the ammo selection to 55gr ammo for the best performance. Iraqveteran8888 collaborated with C&Rsenal and goes over this WW1 machinegun. Ian goes in-depth in both history and mechanism of this interesting rifle. Of course, you can try to improve it. Hakan Spuhr talks about why their stock is designed the way it is. Please be aware that the sound suddenly gets loud at 4:35 when the shooting portion shows up. South Korean government was already developing K2 rifle when ROKA SF wanted a replacement for M3 they have been using. So in a tight deadline, K1 was developed, then had some modifications done and got K1A designation. First, P-10F is a P-10 with RDS ready slide. 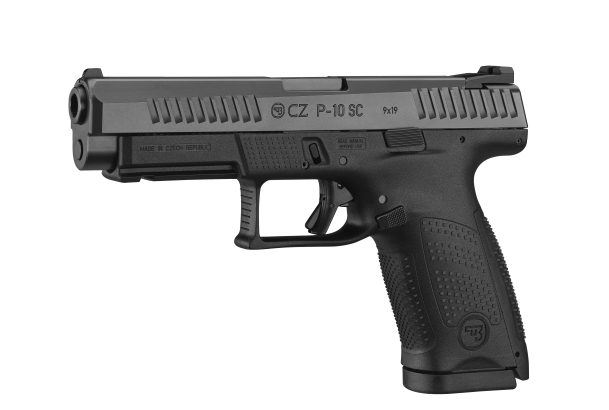 P-10S is sub compact with RDS ready slide. The video was uploaded in October, but there was another mention of P-10S by someone related to CZ on the person's social media. The graphic is what RECOIL Magazine made based on their information. RECOIL magazine once again has an article about new Glock. It supposedly has 10 round capacity, and is a single-stack pistol about the size of a Glock 19. Steyr is putting out Scout Rifle in 6.5 Creedmoor. Scout rifle is concept put forth by Col Jeff Cooper. It had certain features and weight and Steyr was one of a small number of manufacturer that came close to the specifications. Ian goes over the XM-8. This video probably is the most comprehensive video of the rifle available to public. The rifle had some very forward thinking ideas. For those of you wondering about Ian's discussion with Larry Vickers about XM8 program, here is the video. LAV took a quick tour of the ammunition manufacturer. 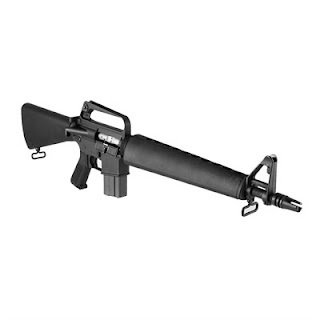 This rifle was relatively unknown but is generally credited to be the first generally issued AR variant with piston system. Wilson Combat is manufacturing Glock 19 and 26 configured to Paul Howe's requirement. It is based off of Glock Gen 4. Ian made a video regarding the Stoner 63 and its variants. 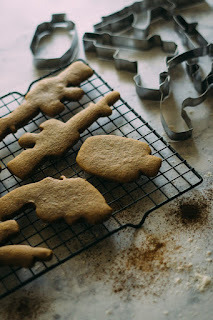 This time he has all the parts available. ALV goes over the Chile's licensed copy of SIG SG 540. It has some features changed. Chris Bartocci goes over this semi-auto sniper rifle. The video goes over history and some mechanical characteristics. MrGunsnGear took a look at this robust second focal plane scope. E version is lighter than the original Razor HD Gen 2. Ivan at Kit badger came out with improved target. This target has anatomy drawn, but it fades away as you increase the distance from it. It looks like someone is exposing their side. 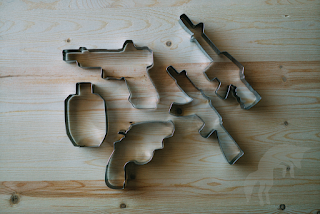 Kitfox Design Group came up with cookie cutters in the shape of Glock, revolver, AR, AK,and an IPSC target. Each order comes with digital download for some of cookie and icing recipes. Warrior Poet Society showed South Narc's favorite disarm technique.